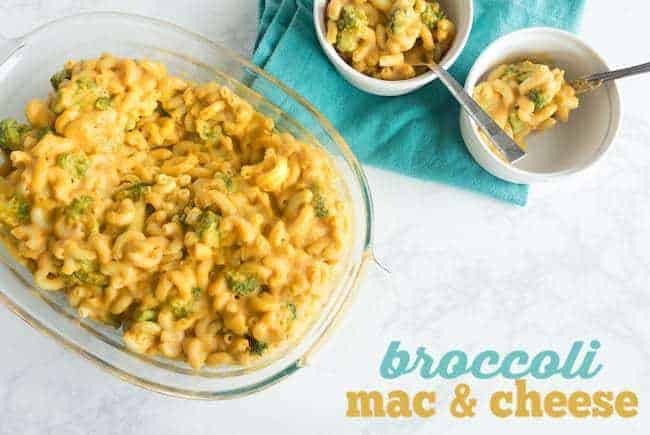 Vegan Mac and Cheese with Broccoli is the perfect dish when you’re craving comfort food but still want to keep things lightened up. Don’t forget to bookmark this recipe in your browser right now so you can access it as soon as the craving hits. 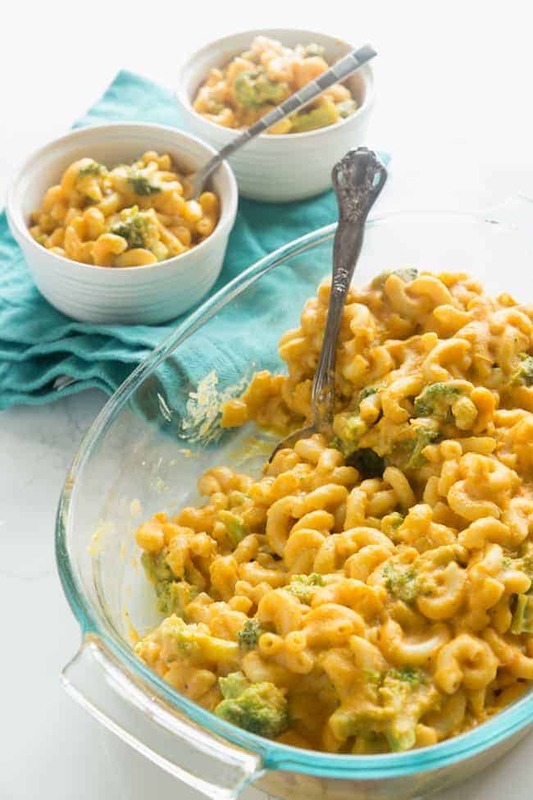 Vegan mac and cheese – those four words together are making you roll your eyes at me, aren’t they? I know. I get it. Mac and cheese is no longer mac and cheese once you eliminate the cheese and make it vegan. I will in no way, shape, or form pretend that a cheeseless version of mac and cheese tastes as good as the cheese-laden version. I’m not dumb. But I still recognize the need for a comforting carb-y pasta coated in neon orange sauce just like my vegan cheese recipe. 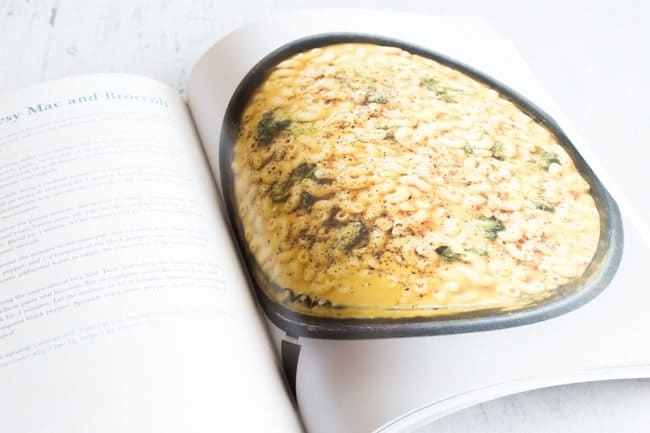 So when I got my hands on this brand new vegan cookbook by Richa Hingle of Vegan Richa and started thumbing through, I was instantly stopped in my tracks when I came across this pasta dish. It instantly made me want to jump in my jammies, put in a movie, and stress-eat my night away. I mean, isn’t that what mac & cheese is for? A warm hug of pasta. 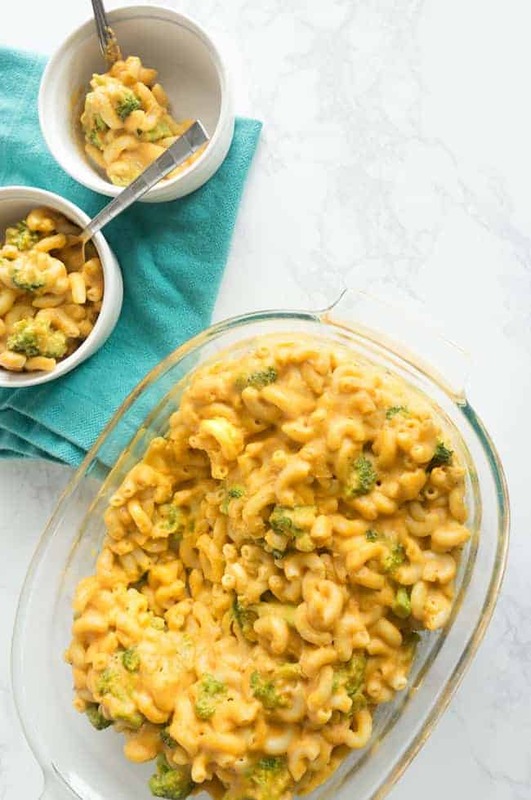 And although my brain knows that this vegan mac and cheese is totally loaded up with veggies, my brain was totally tricked and didn’t care that there was no cheese. It still felt super comforting just like the blue box variety we all grew up on. Richa’s recipe called for more of a peppery flavor, which I know would be super yummy, but I had to accomodate to the family who aren’t the biggest fans of pepper. So when you make this mac, feel free to load up on the pepper. What’s best about this pasta is that you can take shortcuts to make it happen even quicker on a busy weeknight. cook the broccoli in with the pasta in the last 2 minutes of boiling. all the sauce ingredients get pulverized in the blender – WAY easy! Uhhh, think I have a sweet tooth?? 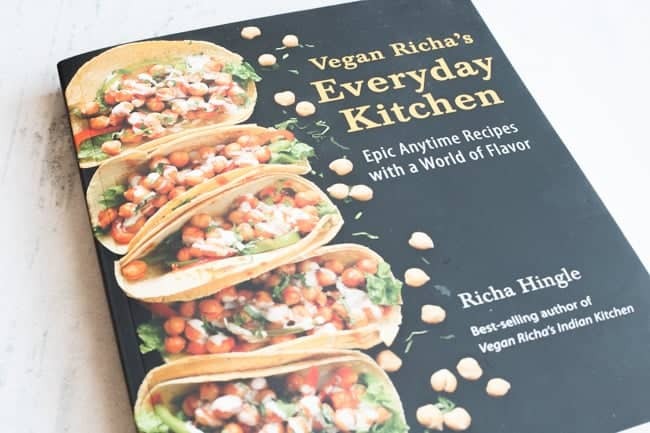 I’m just excited to try all these yummy plant-based recipes that I now have right at my fingertips. But back to the mac and cheese. I’m not gonna lie. I literally just finished a bowl-full while I was writing this post. And now it’s gone… and now I’m sad and have to make more. And believe me, that WILL be happening soon! 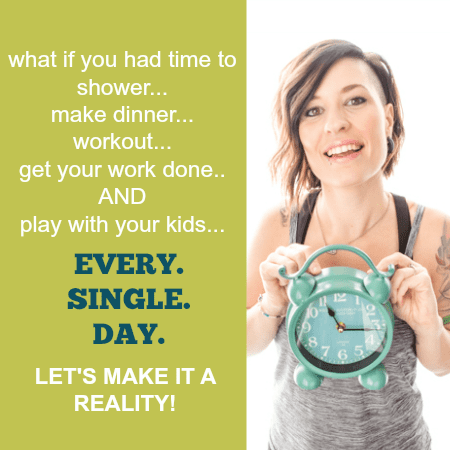 I hope you make it happen for yourself too! You won’t be sorry. 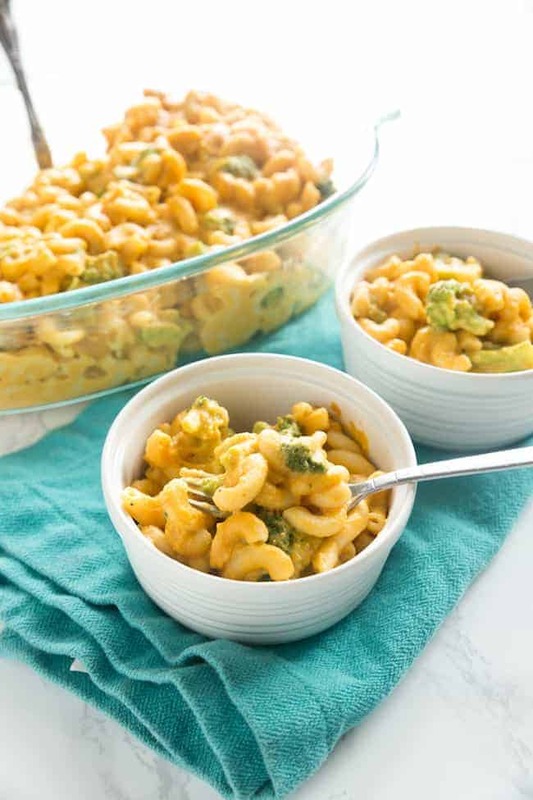 Vegan Mac & Cheese with Broccoli is the perfect dish when you're craving comfort food but still want to keep things lightened up. In a medium skillet over medium-high heat, combine the water, potato, carrots, garlic, onion, chiles, tomato, and cashews. Cover the skillet and cook 18 to 20 minutes, or until the potato is very tender. Let the mixture cool slightly. Meanwhile, cook pasta according to instructions. Add the broccoli to the pasta pot in the last two minutes of boiling. Drain. Combine the potato mixture (along with its liquid), mustard, soy sauce, nutritional yeast, lemon juice, oil, paprika, and sriracha in a blender. Blend for 1 minute, let the mixture rest for 1 minute, and blend again until smooth. Bring the sauce almost to a boil. Taste and adjust the seasonings. Add the elbow pasta and broccoli. Stir to combine, cover the saucepan, and cook for 3 minutes. Let the mixture sit for 2 minutes. Add the remaining 1 teaspoon black pepper. 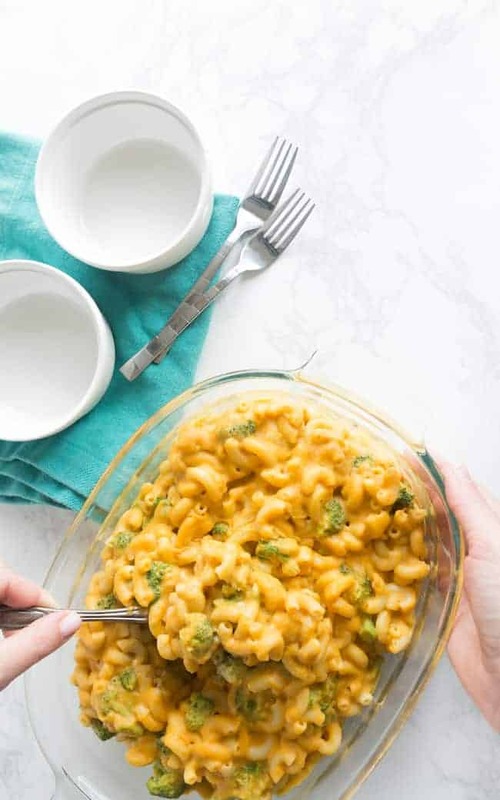 Don’t forget, if you liked this Vegan Mac & Cheese recipe, please share using the buttons below. 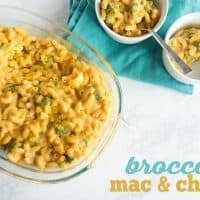 I love Mac N Cheese and totally need a healthier version, I’m going to give this a try. Plus, I have TONS of fresh broccoli in my garden right now. Yes! I hope you love this as much as I do!